The Cuban Research Institute (CRI) is pleased to announce the winner of the 2016 Eliana Rivero Scholarship competition, Maikel Fariñas Borrego. Mr. Fariñas Borrego will receive $2,000 to offset the costs of a one-week stay in Miami to conduct research on Cuba-related issues. His Ph.D. dissertation project, "Envisioning Capitalist Alternatives: The Emergence of Urban Entrepreneurs and the Politics of Influence in Cuba, 1920–1958," will explore the motivations for urban business people to organize themselves into civic associations and their changes over time. It will test the hypothesis that, during that period, Cuban entrepreneurs used civic associations to support the consolidation of new capitalist alternatives in the country, from regional to national spaces. 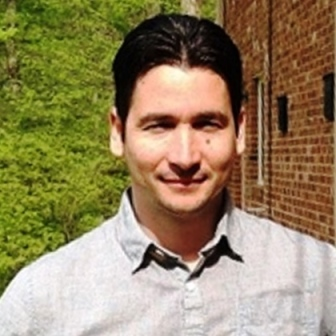 Maikel Fariñas Borrego is a Ph.D. candidate in History at the University of North Carolina at Chapel Hill. He earned his M.A. in Latin American and Caribbean Studies and his B.A. in History at the University of Havana. He is the author of the book Sociabilidad y cultura del ocio: Las élites habaneras y sus clubes de recreo, 1902–1930 (2009) and several book chapters and journal articles on civic associations in republican Cuba. The Eliana Rivero Scholarship in Cuban Studies was established thanks to the generosity of Dr. Eliana S. Rivero, Professor Emerita in Spanish and Portuguese at the University of Arizona, to promote the development of young scholars working in the field of Cuban and Cuban-American studies.